Harvard Man is a comedy written and directed by James Toback. It hit select theatres in July 2002 and was released on DVD three months later. Harvard’s star basketball player, Alan, is pushing his luck. He must hide one girlfriend, Cindy, the daughter of a mob boss, from his other girlfriend, Chesney, his promiscuous Philosophy professor. Alan’s escapades finally catch up with him when his family faces dire financial difficulty. To remedy the situation, Alan asks Cindy to approach her mobster father for a loan. He offers the money on one condition: throw the next game. While Alan contemplates the idea, he must juggle two girlfriends, deal with the mob, and face the FBI. Supplements: James Toback contributes an audio commentary that encompasses most every possible topic of discussion. 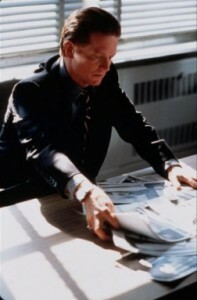 The writer/director examines technical aspects (such as a crane shot that he sees as one of the highlights of his career; the entire movie was shot with a Steadicam), visual metaphors, the cast, juxtaposition (a favorite topic), and the real-life inspirations for many of the film’s themes. Aside from the commentary, the only other supplement is a full-frame trailer. Harvard Man has been divided into 28 chapter stops. The disc’s menus are static, and almost every available option is accessible through the main menu.